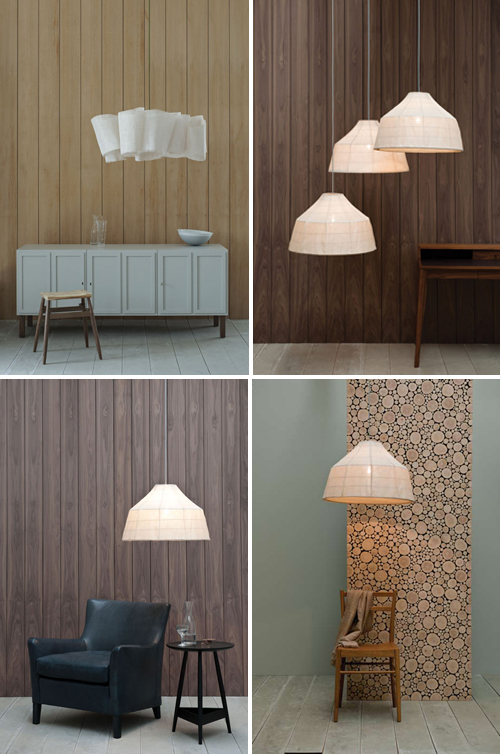 A few weeks ago UK based furniture designer Pinch showed their new collection at 100% Design in London. Pinch is the award-winning, husband and wife team of Russell Pinch and Oona Bannon. 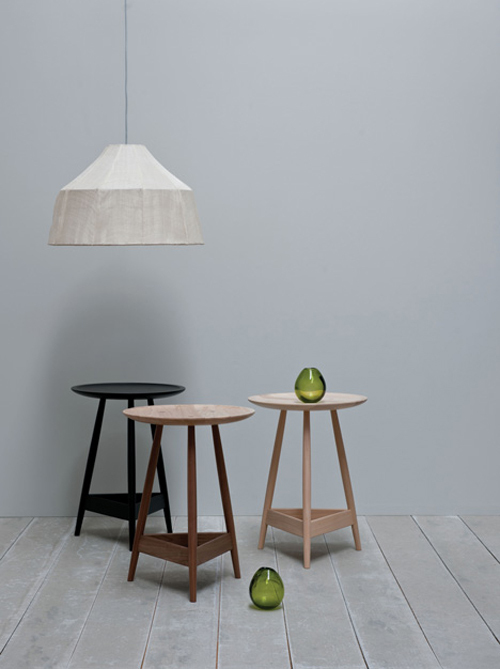 New in the collection are these three-legged side tables with a turned solid wood top and triangular shelf below (image above). 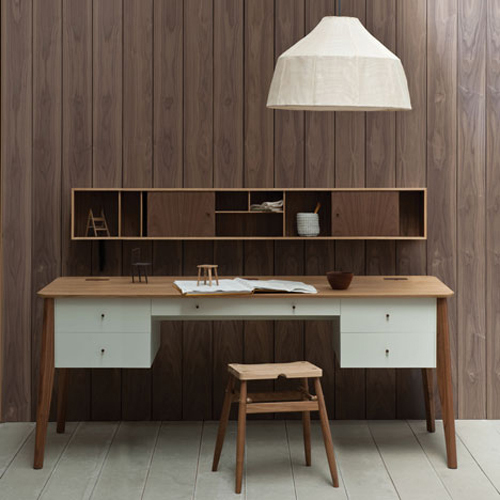 The Pontus desk (image below) is a generously proportioned partner desk combining walnut, oak and painted finish with cable management system and hidden router/hard drive storage built-in. The pigeon-hole unit is available as an option and can be placed directly on the surface of the desk or wall mounted as shown. You can read more about Pinch in previous posts (here and here) and on their website. Thanks for showing these new pieces of furniture. Pinch has really great furniture! Great work with wood – i love especially the background pigeon-hole – thanks a lot and have a nice weekend. I fell in love with this table. By first chance I will make it my self. Simple is so good. Thank you for this post! I will share it on my blog too.